Enjoy this 4 hours tour from Naples, Italy and discover Pompeii Ruins, one of the most popular tourist attractions in Italy. Your English speaking driver will pick-up you up from your desired point and will be at your disposal throughout the half-day and will take you direct to the amazing place of this tour. We will ask for the detailed pick-up address at booking time. 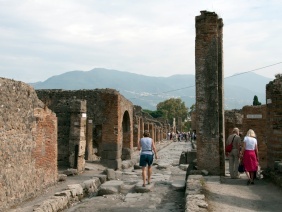 The visit of Pompeii ruins require a lot of walking, so it’s recommended comfortable walking shoes. 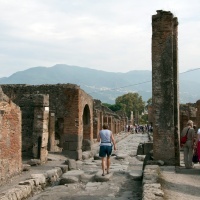 If you would like to book an english speaking guide in Pompeii the extra cost is 110 Euro per group per 2 hours visit.